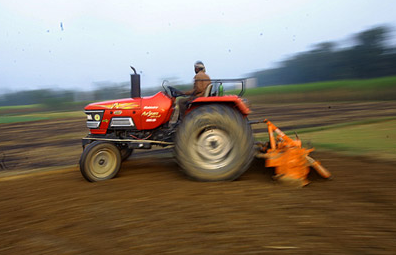 India is primarily agricultural country. Considering the same, Government of Rajasthan has launched a scheme for the benefit of the same. It is intended to promote this sector. While following the news you may have come across stories mentioning about suicides of farmers. Yes, this is happening and Government has been taking due steps in order to prevent such happenings. Under the scheme it is said that the farmers will be given loans. This loan can be availed very easily provided the loan is taken for the below mentioned projects:-. For constructing ponds for farms so that it is easy to water crops when needed. This is for the betterment of farming. Irrigation facilities in Rajasthan need to be worked upon. Through this loan solar pumps can be established as well. This too is intended for irrigation purpose. Micro irrigation- Drop irrigation saves water, benefits the crops and does exactly what it is meant for. There is no wastage of water. Any other source needed for the benefit of farming so that crops flourish, this loan can be availed. Who is primarily behind this scheme? Answer to the question is Bank of Baroda. The executive director of the bank stated that the bank intends to work for the benefit of the agricultural sector. The bank is keenly focused towards growth and development of farmers. The plan of the bank, if trusted completely and if things work out the way they expect, the farmers will be able to double their income by the year 2022. Under this scheme, yes farmers will get easy credit, but, major highlight is, farmers will be given incentive for early repayment of loan. Gradually it is expected, it will encourage farmers to do well and better their farming. It may help the country grow as a whole. While evaluating the details it was discovered that initially the scheme will be launched in Sri Ganganagar, Hanuman Garh and Bikaner only. Once it reflects bright colors in these regions, the scheme will be available in the entire state of Rajasthan. This scheme has been created keeping the condition of farmers in mind as of now. The interest rates are kept low. There are incentives for early or on time payment of loans. Drip irrigation is more efficient and better than the conventionally used sprinklers. They use lower volumes of water. The water drops on the area required. There is minimal loss of water due to wind. This method prevents evaporation of water. While analyzing the same process, you will understand it saves 20-30percent of water, when compared with other methodologies. There is a special tube that comes for this purpose. It is called drip tubing. This special tube is made from polyethylene. It has emitters, at specified intervals. These emitters are made corresponding to the distance between plants. This intelligence is used so that water drops at the correct place. This keeps the water bill low too. The system requires very high maintenance and needs timely inspection. This is not an economical investment but does wonders to the one using these. This can be a circular or rectangular shaped pond. It is dug where farms are. This helps in rainwater harvesting. Proper channels are made for correct flow of water. A bund is made around the pond to prevent soil erosion and water loss – both. These are photovoltaic run technology. They help in irrigation quite a lot. The power is saved in batteries for non-sunny days. They help you save money in terms of bills. These are eco-friendly and very efficient to be used. Bank of Baroda is not just into providing loans at easy credit rates, but, has also talked to leading suppliers of irrigation tools. This is a planned move by the team of BOB. We all know that water is scarce in Rajasthan. While keeping the same in mind, the Government has supported the Bank with full zeal. Money is the primary factor that either encourages or discourages farmers. From seeds and fertilizers to irrigation, everything requires investment. If our farmers get peace from this angle, it is will be good for the betterment of the country as a whole. Hopefully, this will reduce suicide rates and help farmers of India have better lives, leading to better crops. The Government of India has been appreciating such moves. It is just that some get highlighted and some do not. We are indeed an agricultural country. This is the sector which is our strength. There is no doubt about the fact that the approach with which BOB has taken steps, it is all planned and diligently implemented. Our country needs more projects like these. United we stand and divided we fall.